The inaugural World nZEB Forum for nearly Zero Energy Buildings! nZEB will be mandated across the EU commencing end of 2018 so it’s high time that those involved in the built environment get up to speed on what this will entail. 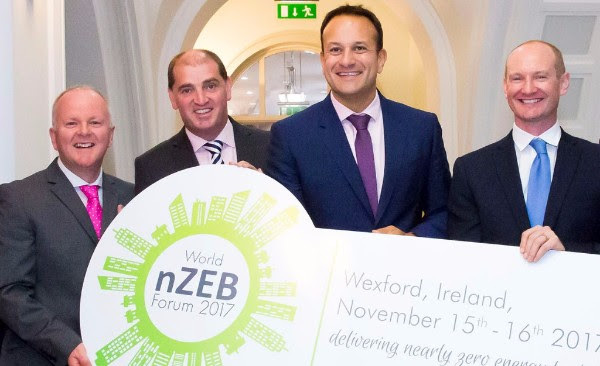 The forum is being held in Wexford, Ireland, one of the front-runner regions spearheading the transition to nZEB. The event will showcase the very best in expertise, design, case study buildings and innovative products. NIlan Ireland will also showcase their products at the Forum Main Event on 16th November in the Clayton Whites Hotel in Wexford from 7.30am till 6.30pm. This entry was posted in News, Nilan Ireland News, Uncategorized on October 3, 2017 by admin.